Providing effective pain control is one of the most important aspects of dental care. Indeed, patients rate a dentist “who does not hurt” and one who can “give painless injections” as meeting the second and first most important criteria used in evaluating dentists. Unfortunately, the ability to obtain consistently profound anesthesia for dental procedures in the mandible has proved extremely elusive. This is even more of a problem when infected teeth are involved, primarily mandibular molars. Anesthesia of maxillary teeth on the other hand, although on occasion difficult to achieve, is rarely an insurmountable problem. Reasons for this include the fact that the cortical plate of bone overlying maxillary teeth is normally quite thin, thus allowing the local anesthetic drug to diffuse when administered by supraperiosteal injection (infiltration). 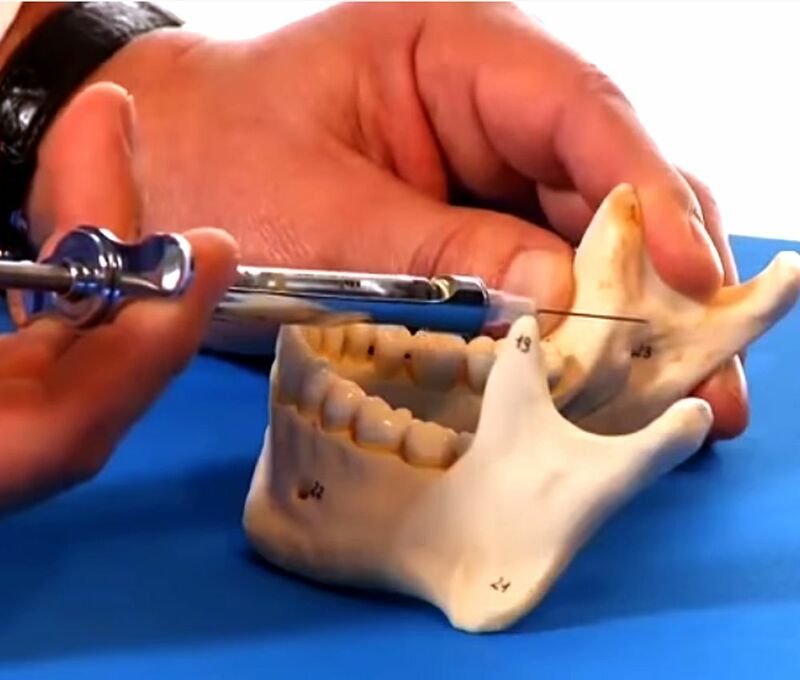 Additionally, relatively simple nerve blocks, such as the posterior superior alveolar (PSA), middle superior alveolar (MSA), anterior superior alveolar (ASA, infraorbital), and anterior middle superior alveolar (AMSA),2 are available as alternatives to infiltration.